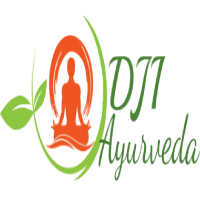 Ayurvedic treatments have become very popular in recent years and why won’t it be as there are many chronic diseases which are incurable by other science of medicines have been cured easily by Ayurveda. Vamana therapy is also one of those five therapies of Panchakarma in ‪Ayurveda that has gained its popularity by offering effective treatment to the patients with Kapha Dosha. Vamana treatment is technically a medicated emesis therapy that removes which works efficiently in removing Kapha toxins that get accumulated in your body with time. Majorly used to offer help to the patients of psoriasis Vamana therapy has been instrumental in offering treatment to those who are suffering from bronchial asthma, diabetes, gastritis, neurological ailments and other diseases related to Kapha Dosha like skin disorders, etc. What is the procedure of Vamana Therapy? In Ayurveda, there are many treatments which are carried out early in the morning when your stomach is empty and Vamana therapy is one of them especially when the Kapha of the patient is intense. The patients are provided with Kapha aggravating foods the night before the therapy, on the basis of the patient’s condition heat is applied during the therapy to the chest and back portion of the body to liquefy the Kapha. After this, the patient is asked to drink a special medicated liquid which has the potential to stimulate the emesis. 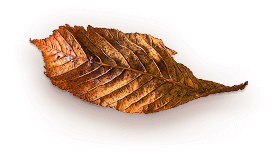 During this procedure, the toxins or the dosha which is technically the waste product gets eliminated via the upper gastrointestinal tract. Once this is over then the patient is given ghee treatment and a steam bath. If you want to slow down aging, clean your stomach, flush out toxins from the body, get relief from your chronic asthma, etc. then you must opt for Vamana Ayurvedic therapy.